"Weingarten keeps the tension taut; every time June resolves to answer a question, it raises two more. The novel is quietly suspenseful; readers will be draw to the well-written and well-rounded characters—even the supporting players. Thoughtful and provocative, this will be a hard book for teen readers to put down until the thrilling, twisted end." 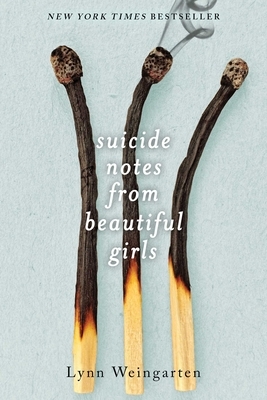 “Simultaneously a pulse-pounding, breathtakingly twisty thriller and a complex, unflinching, heart-breaking examination of female friendship, Suicide Notes From Beautiful Girls is a story of love, damage, and an all-consuming relationship with the power to save or destroy--and it's unforgettable." "Twisted and intense in all the right ways, Suicide Notes from Beautiful Girls will keep you guessing (and your pulse racing) until its stark, shocking conclusion."